The Saints have signed veteran defensive end George Johnson to a one-year extension, according to Field Yates of ESPN.com (on Twitter). Johnson was initially scheduled to reach free agency in March, but he’s now tied to New Orleans through the 2018 season, during which he’ll earn the veteran’s minimum, tweets Josh Katzenstein of the Times-Picayune. The Saints signed Johnson late last season when rookie defensive end Trey Hendrickson went down with an ankle injury. 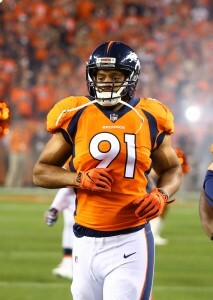 Initially, it didn’t seem like he’d be in line for a ton of playing time, but he made his presence felt with 2.5 sacks in the final three regular season games of the year. Then, in the playoffs, Johnson started both games at left defensive end. 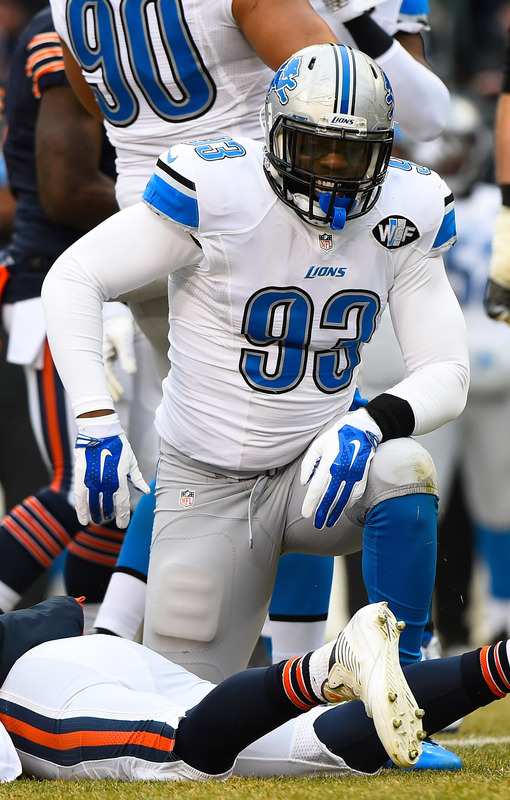 Johnson, 30, made a name for himself with a six-sack season for the Lions in 2014. He couldn’t reprise that production in 2015 with the Bucs and he lost all of 2016 due to a hip fracture. Now, he may finally be back on track as a productive front four player. 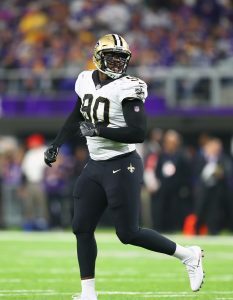 The Saints are signing defensive end George Johnson, who recently worked out for them, a source tells Ian Rapoport of NFL.com (Twitter link). To make room, offensive tackle Bryce Harris has been released. Johnson will help fill the void after rookie defensive end Trey Hendrickson went down with an ankle injury. He’s probably not in line for a ton of playing time, but he’ll be an option to relieve defensive linemen Sheldon Rankins, David Onyemata, and Hau’oli Kikaha. The 30-year-old Johnson put himself on the NFL map with a six-sack season for the Lions in 2014. Unfortunately for the Buccaneers, he wasn’t quite as sharp in 2015 when he came on board. He then lost the following season to a hip fracture. He reunited with Detroit this year, but he totaled just two tackles in four appearances. The Saints did some revamping at cornerback this week, signing both Sterling Moore and Dexter McDougle. But they worked out a player who commanded more money this offseason in Nolan Carroll. 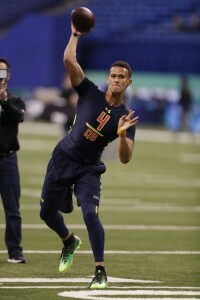 Other recently cut defenders took part in a workout in New Orleans today as well. Defensive ends George Johnson and Malliciah Goodman and fellow edge defender Jayrone Elliott received auditions, Adam Caplan of ESPN.com reports (on Twitter). However, none of these talents signed with the team today, per Caplan (via Twitter). Carroll, who signed with the Cowboys on a three-year deal worth $10MM, also worked out for the Redskins since being released in October. The 30-year-old defender started two games for the Cowboys this season and 16 for the Eagles in 2016. The Lions cut Johnson when they claimed fellow edge player Kasim Edebali last week, and Elliott has now worked out for more than a fourth of the NFL’s teams since the Cowboys cut him this season. The former Packers backup auditioned for the Colts, Seahawks, Patriots, Redskins, Texans, Giants, Jets and 49ers prior to trekking to New Orleans. 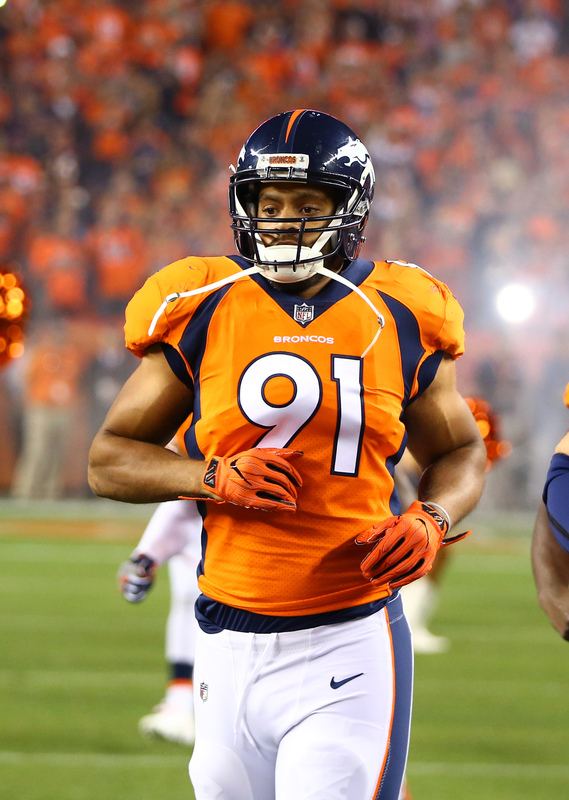 The Lions have claimed linebacker Kasim Edebali off waivers from the Broncos and waived defensive end George Johnson, the club announced today. Edebali, 28, had appeared in nine games for Denver this season, but hadn’t made a dent on defense, as he’d seen only 55 defensive snaps on the year. His real action had come on special teams, where he’d played on more than 60% of the Broncos’ snaps. Detroit general manager Bob Quinn has shown a willingness to pay for special teams prowess in the past, and Edebali comes cheap — he’s only due about $400K for the remainder of the 2017 campaign. Johnson, meanwhile, leaves the Lions after only 24 hours, as the club has just re-signed him on Monday. Detroit has employed Johnson at various points during his career, including his career season in 2014 when he posted six sacks. Injuries and ineffectiveness have marred Johnson’s recent output, but given his familiarity with the Lions’ defense, it wouldn’t be surprise to see him back in Detroit at some point later this season. Packers coach Mike McCarthy isn’t offering up a lot of details about Nick Perry’s hand injury, but a source tells ESPN.com’s Rob Demovsky that the injury is not as bad the broken hand he suffered last year. In fact, this time around, it’s only one finger that requires treatment. When Perry broke his hand last season, he had to have multiple screws placed into several broken fingers. To his credit, he didn’t miss much time after last year’s surgery and returned to action in time for the end of the regular season and the playoffs. This is all relatively good news, but there’s still no timetable for Perry’s recovery just yet and, privately, one has to imagine the Packers sweating a bit after giving him a five-year, $60MM contract this offseason. George Johnson’s first workout with the Lions this year didn’t go as planned. The veteran defensive end showed up out of shape and was told to address that before circling back. It took only two weeks for Johnson to shed ten pounds and prove himself, leading to his deal this week, Justin Rogers of the Detroit News writes. Now, the Lions are optimistic about what he can bring to the table in his second stint with the club. “He’s still the same guy that works extremely hard, heavy-handed guy that can make some things happen and the rest of it we’ll see,” coach Jim Caldwell said. “I mean, he had an outstanding year that year, and those are hard to duplicate, but he will contribute to our team.” Johnson had six sacks for the Lions in 2014. PFR readers don’t have a ton of faith in the Bears‘ ability to bounce back from their 0-2 start.